We’ve never seen a gender reveal like this before, so we’re not surprised that you loved it too! 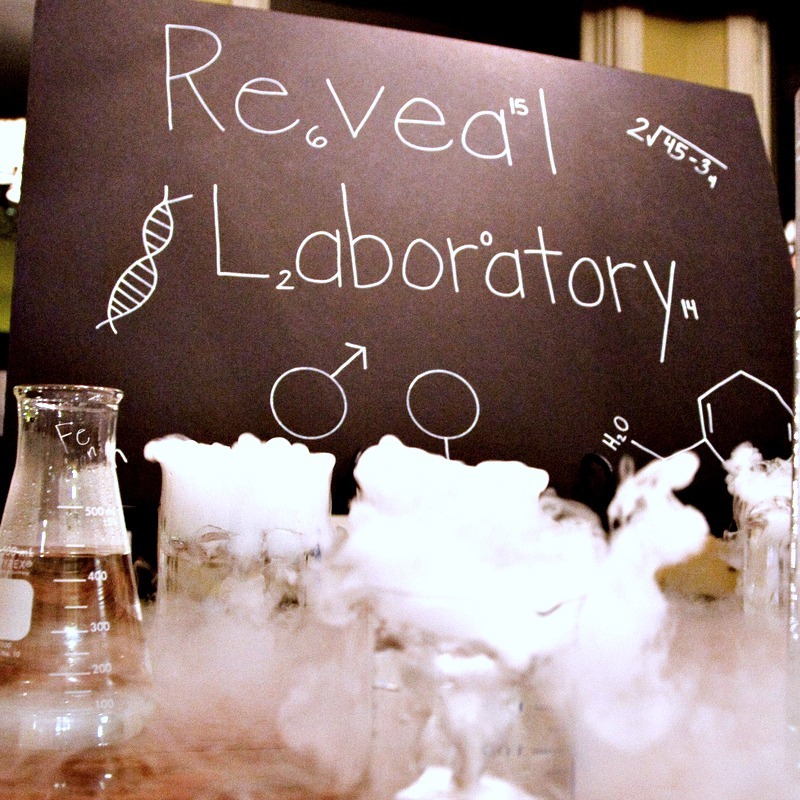 This week’s readers’ favorite is a science-themed gender reveal that is clever and smart, and it adds a little chemistry—no pun intended—to the moment when baby’s gender is unveiled to family and friends. Everything from the ‘Name That (baby) Concoction’ game to the printables to the decor ties beautifully into the theme. Great job!